Coming off the heels of yet another violent weekend in the city, Baltimore continues to be plagued with more shootings and homicides. Since Monday, 24 people were been shot, six of them have died from their injuries, with an additional man found dead from "foul play." 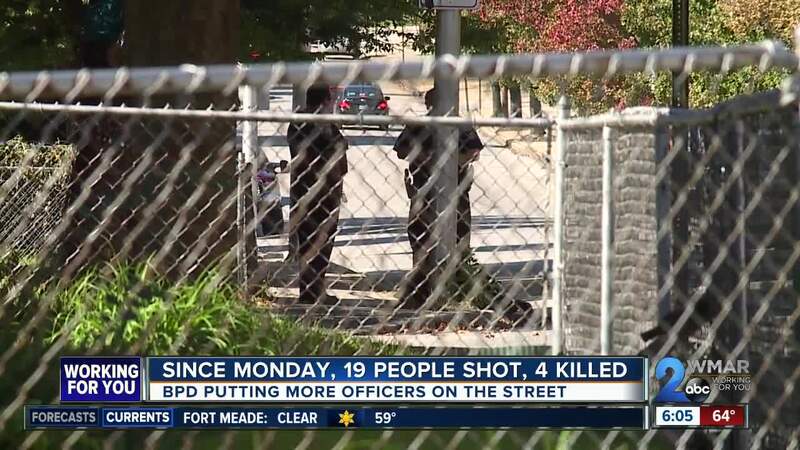 A majority of the shootings stem from Tuesday , where a total of 11 people were shot. Both Baltimore Mayor Catherine Pugh and Interim Baltimore Police Commissioner Gary Tuggle spoke on Wednesday, and they attribute this uptick in crime to drug wars, illegal guns, and the lack of officers in the city. "The common denominator is the demand for drugs in the city," Tuggle said at an afternoon press conference. "A number of these incidents are actually connected to one and other." She says in the first couple months of the year Baltimore homicides were in a downward trend, 23 percent down compared to last year, the most deadly year in Baltimore history. Pugh says starting in September is when things started to get worse. To combat the crime, Pugh says the Interim Police Commissioner Gary Tuggle has called the DEA and federal help to get more patrols on the streets, and she is calling this an "all hands on deck" situation. Tuggle said he is temporarily shutting down administrative operations, a move that should add an additional 230 officers to the streets, making a total of 650 officers patrolling the city. Tuggle said the move feeds into his overall go of "civilianizing" many of those roles within the department. Police spokesman Jeremy Silbert said the internal affairs, education and training, recruitment, homicide, citywide shooting, and citywide robbery units as unaffected by the staffing changes. "We're putting those officers on the street," Tuggle said. 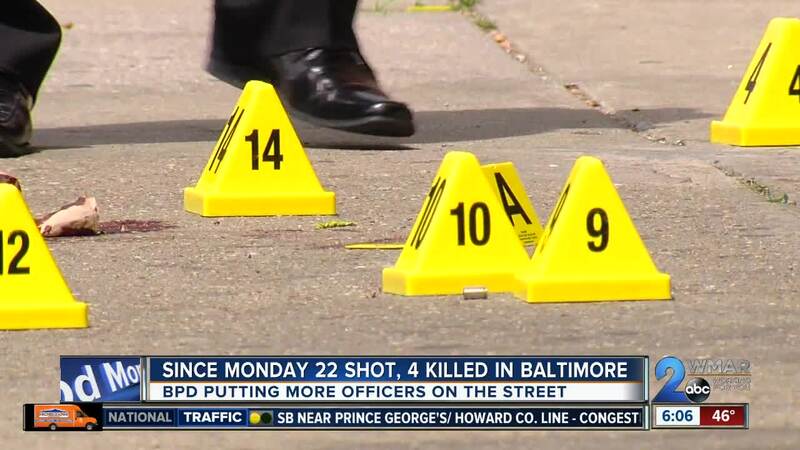 "Every resident in the city of Baltimore deserves an effective police force. ... This level of violence is no more tolerable to us than it is to those residents." While officials have yet to explain a solid plan, they say they are not giving up on getting Charm City back on track. "And so I'm saying that to those who are out there, drug dealers, drug sellers, whoever you are, gun toters, it’s not acceptable, and so we will continue to fight to reduce this violence,” Pugh said.